Wylies Baths include an ocean tidal pool in the suburbs of Sydney. 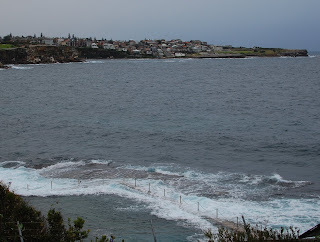 At high tide, waves enter the pool unhindered. I didn't have the fortitude to bathe during this visit, as it wasn't particularly warm, but I intend to in September.